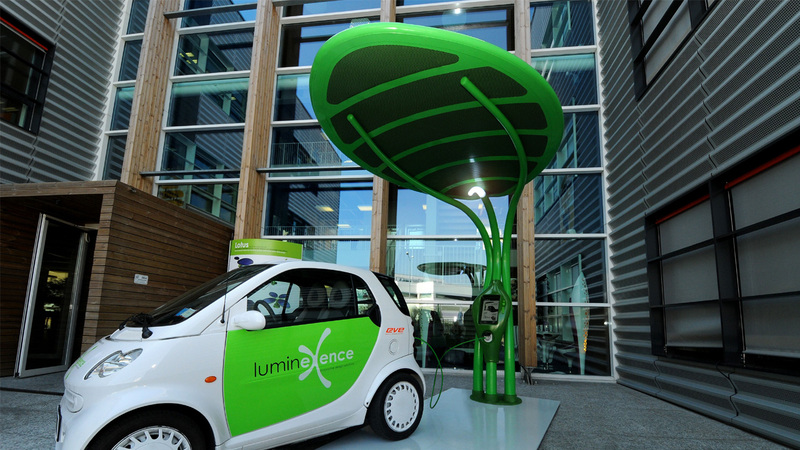 Like a big leaf that comes out from the ground, Lotus gives life to an intriguing urban design shelter, endowed with seats and integrated photovoltaic panels, perfect for green parks and parking areas. 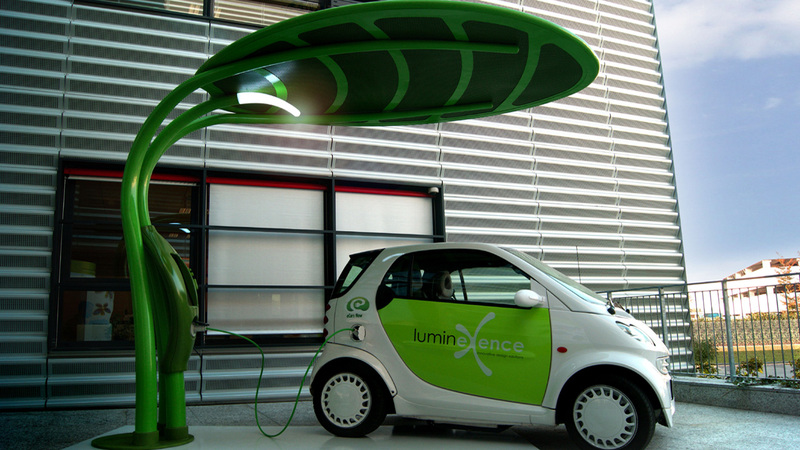 A unique tubolar element of 14cm in diameter and 260cm in height, radially arranged, generates the modular strong and elegant backbone, able to cover from the rain, to light the ambient with LED technology and to produce energy: from the small leaf of 4Mq photovoltaic surface for a 500W production to the big leaf of 19Mq for 2.8KW. 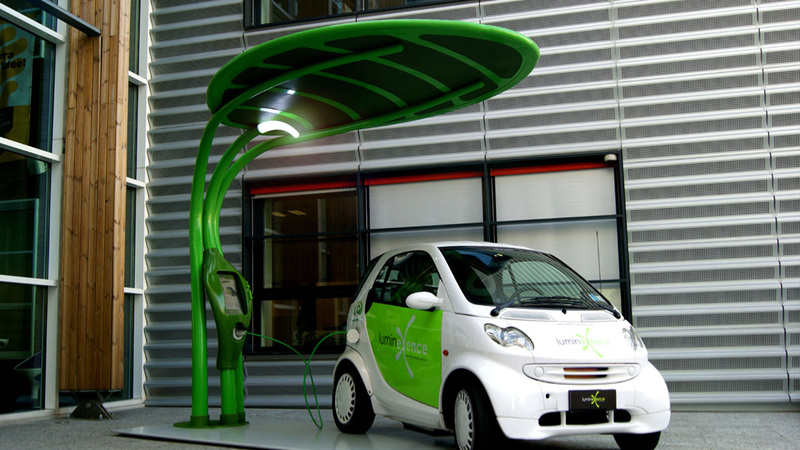 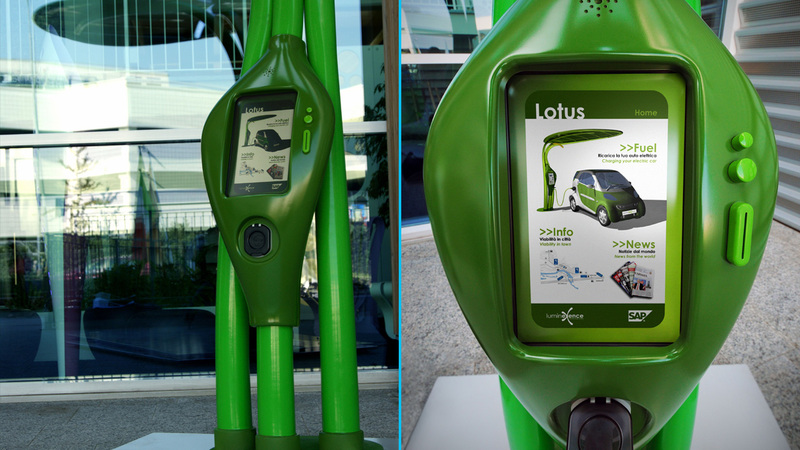 Lotus is also an electric car charging point: thanks to a centralized system each parking owns an info point, with a waterproof electrical outlet by Scame, from wich is possible to recharge the car, just paying with bancomat or credit card. 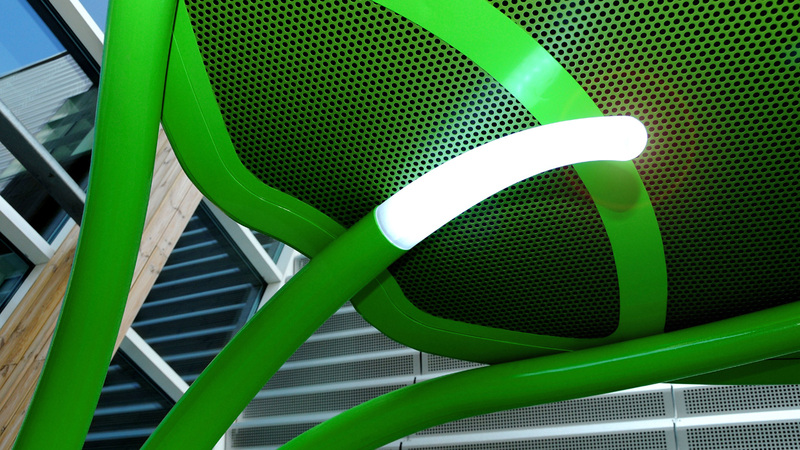 Thanks to its endless combination of colours, offered by a wide range of strictly ecological paints, Lotus fits in perfectly with nature adapting to the colours of the enviroment; the fresh green tones for natural environments, neutral tones for urban contests, and other customizable possibilities. 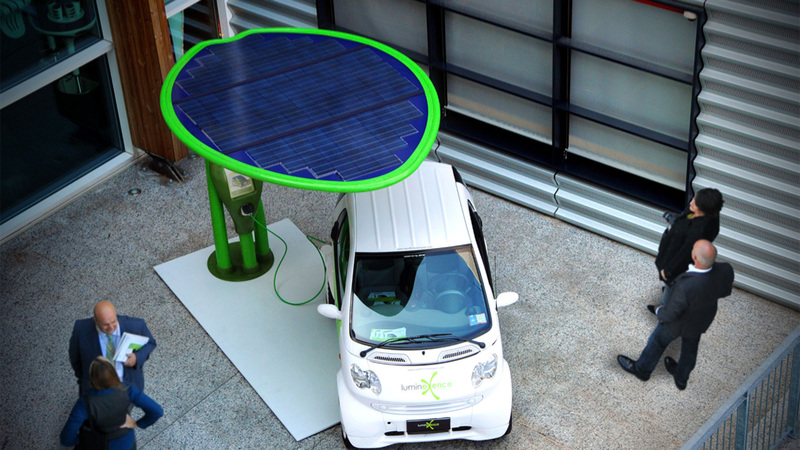 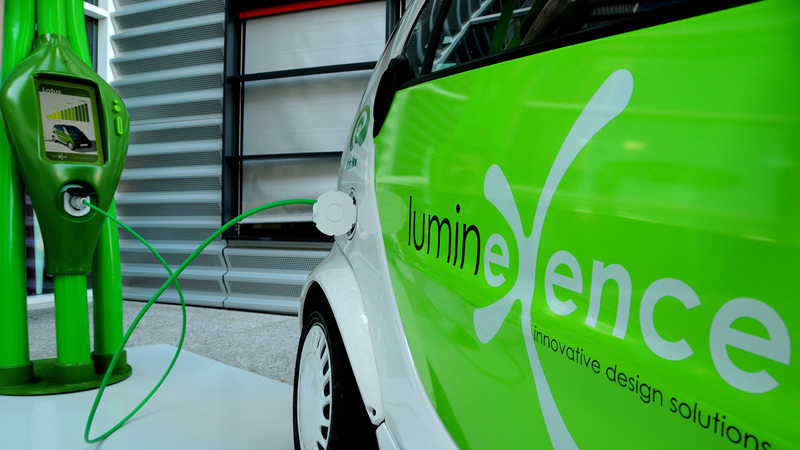 An innovative photovoltaic urban furniture system by the architect Giancarlo Zema for LumineXence firm.